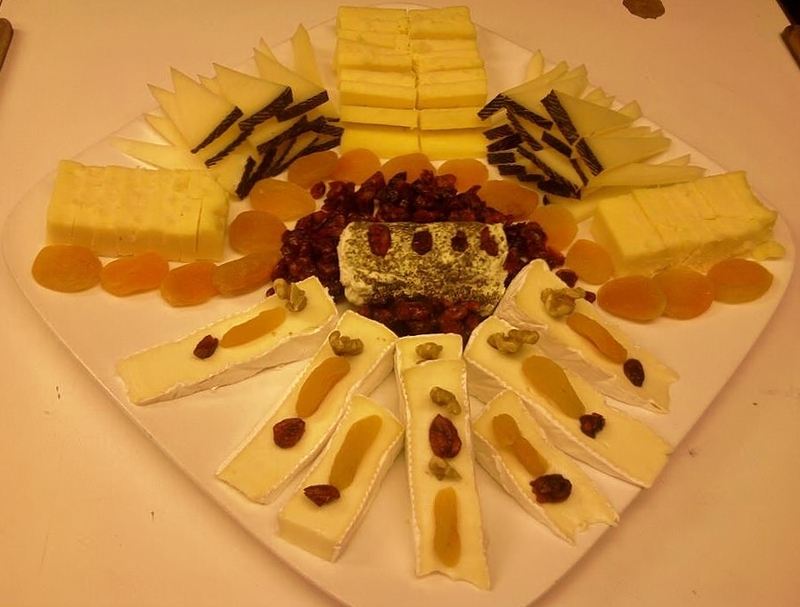 Creating a visually appealing and tasty cheese platter is easy, and fun! Experiment with cutting cheeses in different shapes, using dried fruits and nuts, contrasting textures and building from the middle of the plate. A buffet of meat, cheese and bread! 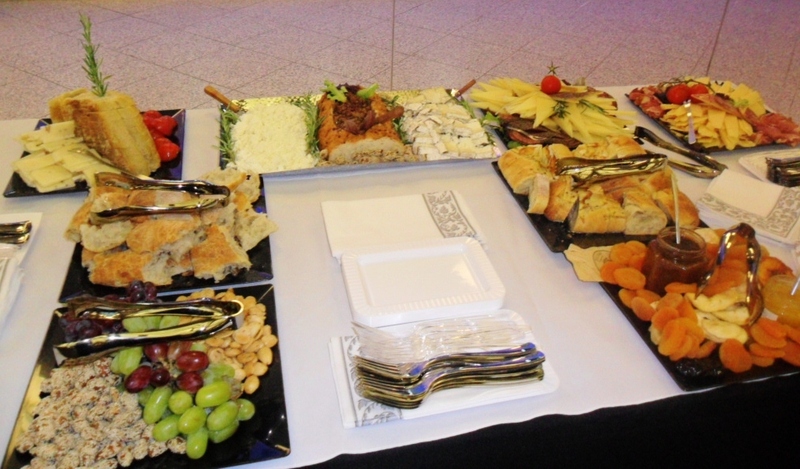 If crafting a buffet, vary arrangements on each platter. Use vegetables to add color and detail. 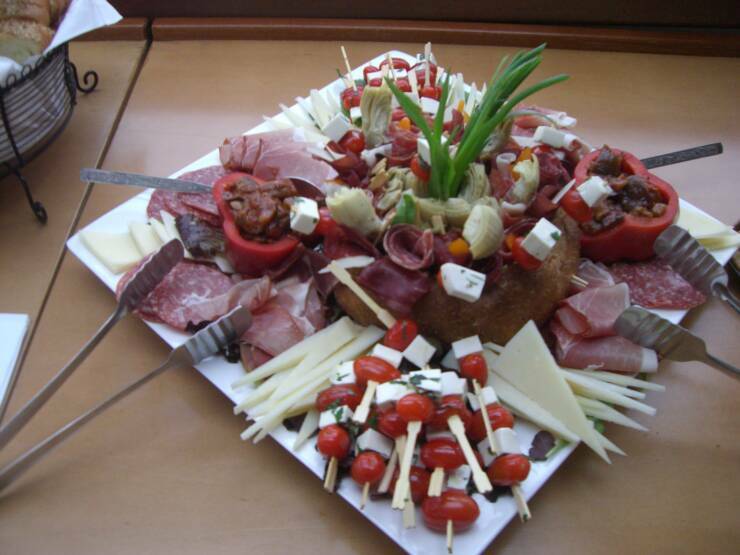 Make fresh mozzarella skewers or fill hollowed out peppers with soft cheeses. Above all have fun making creative displays and pairings!